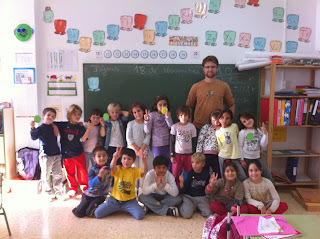 ECO ARTS AND CRAFTS IN PRIMARY SCHOOL: Evan Morgan and 1st Graders! Thank you for the good manners students! Evan Morgan and 1st Graders! Thank you for the good manners students! Students are very excited in our lessons and also having really good manners! Happy faces for you and surprises too! Evan Morgan is helping us in Eco Arts lessons!